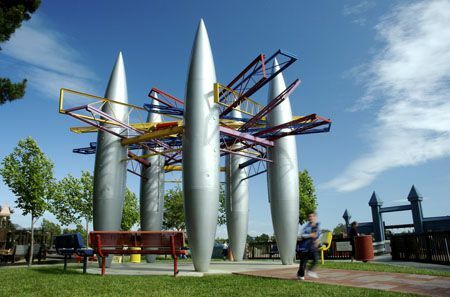 Located at Old Sonoma Road and Freeway Drive in Napa, Playground Fantástico was built by thousands of people – children and adults – working side by side over the course of six days in the style of an old-fashioned barn-raising. 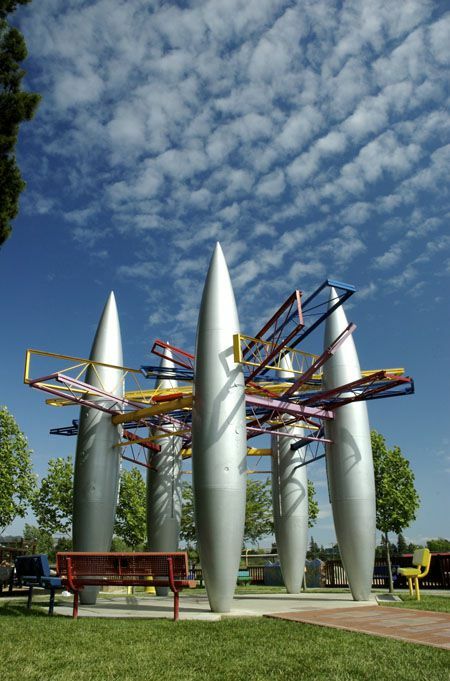 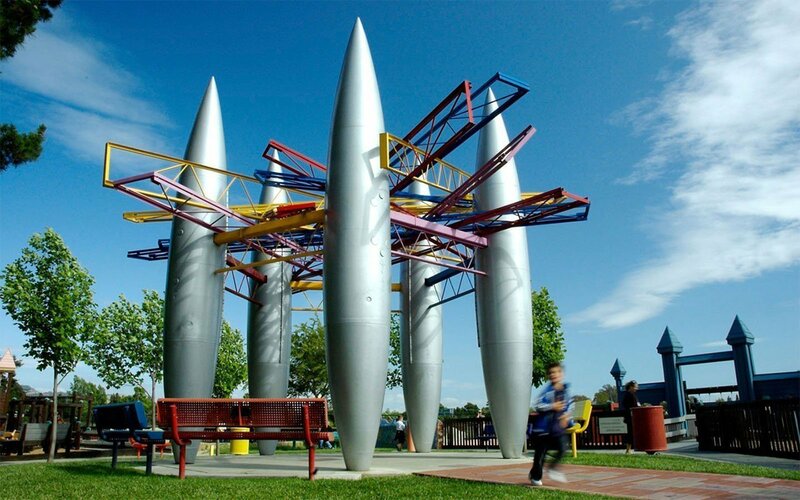 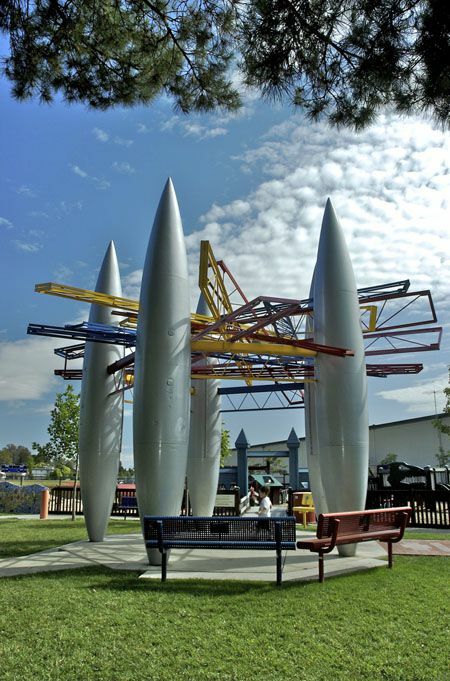 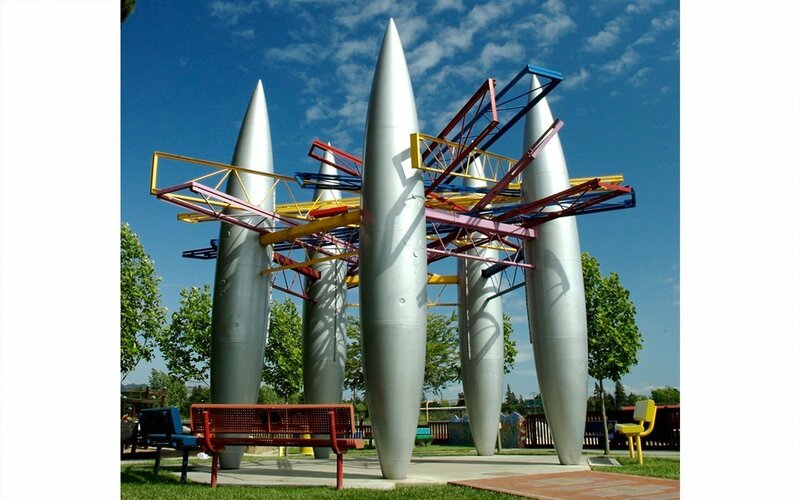 It was designed from the input of hundreds of children in the Napa region and local artists. 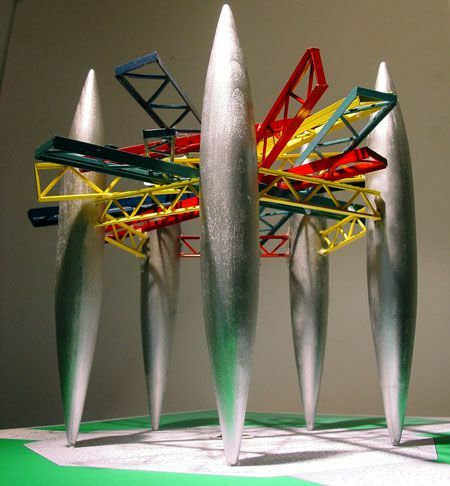 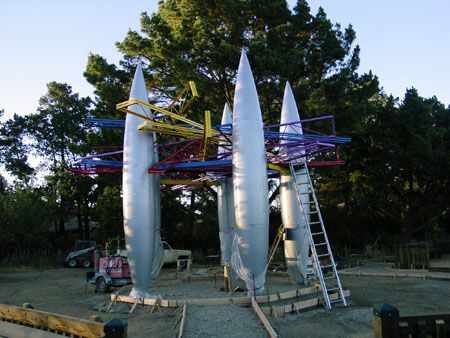 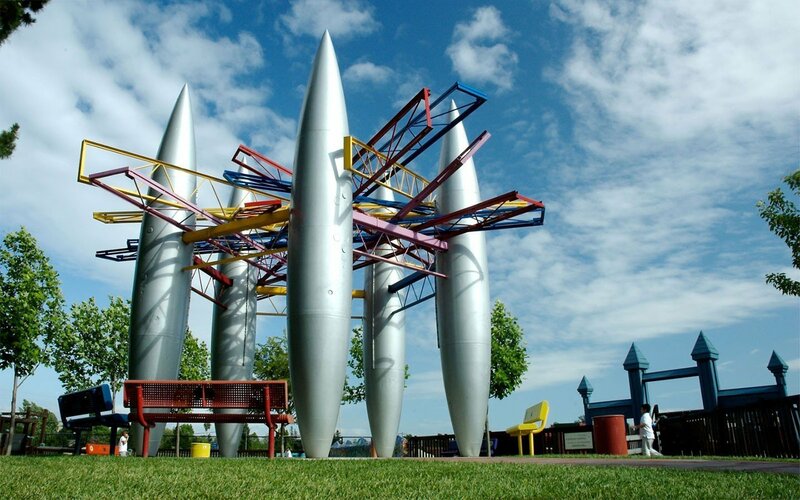 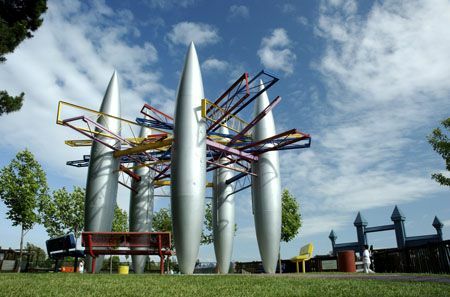 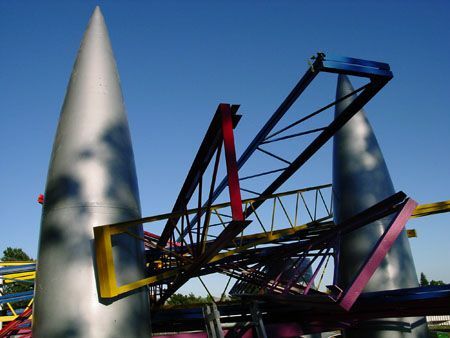 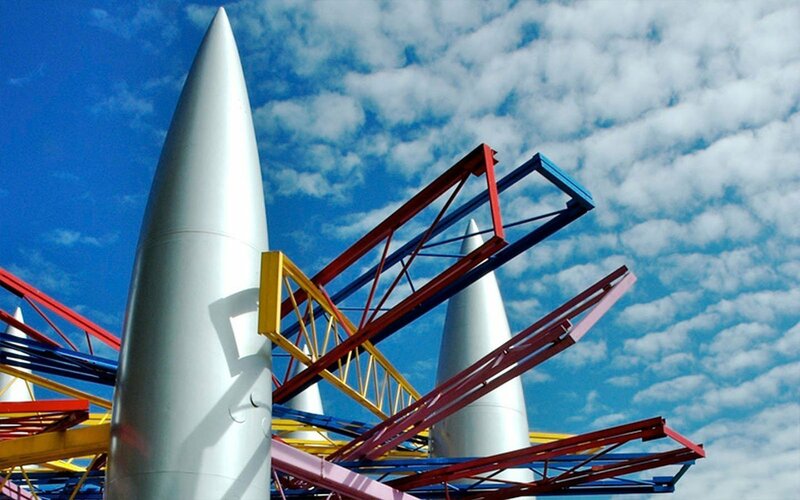 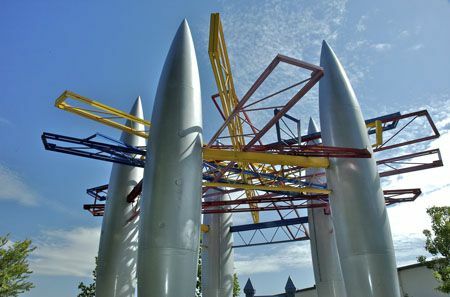 Gordon Huether’s contribution to the project was a pavilion created with five towering recycled aircraft fuel tanks and brightly painted steel trusses tossed onto the structure to connect it in a playful manner. 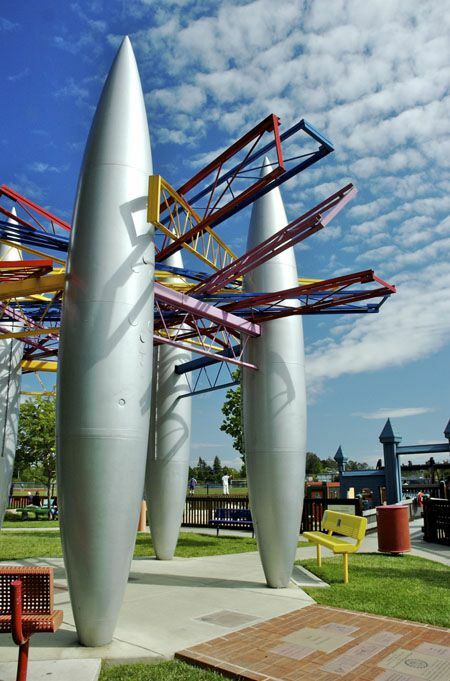 Playground Fantástico welcomes those from all cultures and backgrounds in Napa. 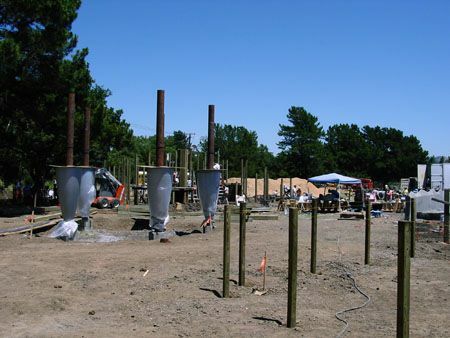 It is a great example of a community working together to enhance their quality of life.